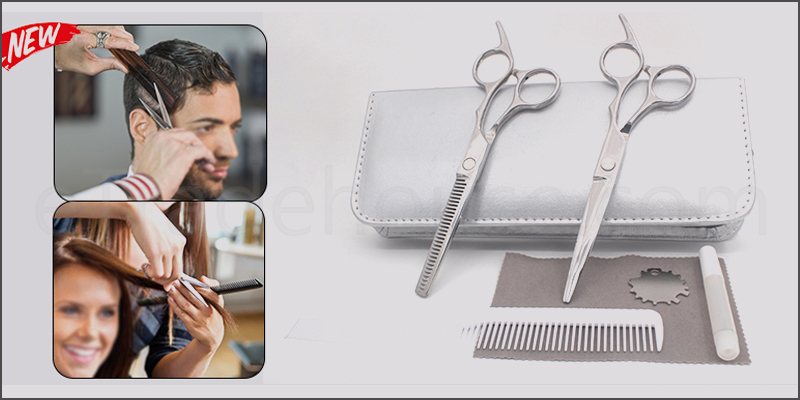 · Excellent For Professional Quality Hairdressing Scissors. · Very Smooth, Great Finishing. · Made from High Grade German Stainless Steel. · Scissors Has Detachable Finger Rest. · Comfortable design featuring curved ergonomic finger rest. · Comes with a case making each tool accessible and well-protected. · Ideal for Hair Stylists, Barber Shops andPet Grooming. · 1x Hair Thinning scissors.